I have an obsession with most things coconut! Then, add the piña and colada and I’m pretty much in heaven! I found this recipe on Skinny Ms and can’t wait to make these things! 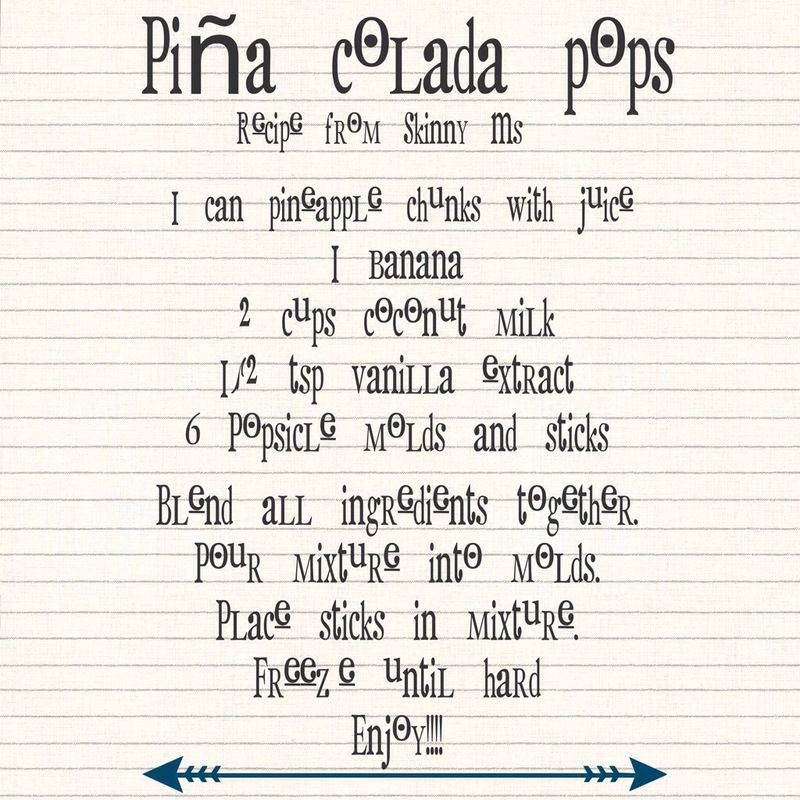 This recipe will make 6 Popsicles at 182 calories each. It’s a perfect little summer treat for a hot day! I know that there are lots of variations to these yummy things. What is your favorite way to make a healthy Popsicle?